If you liked Illuminae you might like these books. This morning, Kady thought breaking up with Ezra was the hardest thing she'd have to do. This afternoon, her planet was invaded. The year is 2575, and two rival megacorporations are at war over a planet that's little more than a speck at the edge of the universe. Now with enemy fire raining down on them, Kady and Ezra -- who are barely even talking to each other -- are forced to evacuate with a hostile warship in hot pursuit. 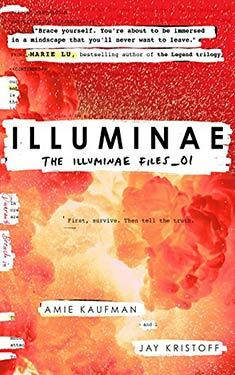 Told through a fascinating dossier of hacked documents -- including emails, maps, files, IMs, medical reports, interviews, and more -- Illuminae is the first book in a heart-stopping trilogy about lives interrupted, the price of truth, and the courage of everyday heroes.